In the annals of history, people are going to look back at January 31, 2017, as the day that the Romanian government finally showed its true face. And boy, it sure is an ugly one. Ever since democracy was brutally crushed in June 1990, the government has been failing the people of Romania, but it’s never been quite so brazen about it before. Because of the dynamic nature of what’s going on, I can’t find any good English-language summations, so I’ll catch you up to speed in my own style. If you remember my piece Hey Pharoah, Let My People Go! then you’ll know that the PSD-led new government of December 2016 has made its first priority this year to a) release thousands of non-violent prisoners, including politicians convicted of corruption offenses and b) modify the Criminal Code to make a number of corruption offenses decriminalized or punishable by fines only (and not jail time), specifically those that bar PSD leader Liviu Dragnea from becoming Prime Minister. Since last week, tens of thousands of people in Romania have been protesting this idea. How many thousands? I’ve seen estimates as high as 100,000 nationwide, something that hasn’t occurred in nearly a century. Whatever the “true” number, it’s a LOT of people, and they’ve been out there every night in the cold. Neglected to put the topic of modifying the Criminal Code on the parliament’s schedule so the public had no idea it was up for consideration. Locked the doors of the PM’s office so that the crowds couldn’t break in and disrupt proceedings. Convened a meeting at 9:00 PM. Used an infamous OUG (“Emergency Government Ordinance”) by the Justice Minister to rewrite the Criminal Code to make several forms of corruption lesser penalties, including removing prison terms for some offenses. Got this ordinance published in the Monitorul Oficial before midnight so that it became legal on the following day (anyone remember when Ponta stole control of the Monitorul Oficial in 2012?). Gave no apologies to anyone despite a widespread backlash from EU officials, a very angry American ambassador, and tens of thousands of protesters in the streets. The USR (“Union to Save Romania”), the main opposition party, spent all day in the (empty) Parliament building to protest these highly undemocratic moves. And the Avocatul Poporului (parliamentary ombudsman) has taken up the cause as well. Hilariously, Romanian President Klaus Iohannis went out in the streets with the protesters last week and has been making loud noises on TV and Facebook about how he strenuously opposes these moves to spring corrupt officials from jail and rewrite the laws on corruption offenses. He used a move last week to temporarily block the OUG from passing, and this morning he convened the CSAT (National Security Council), which then unanimously referred the issue to the Constitutional Court (the “Supreme Court” of Romania). I say “hilariously” because Iohannis is a deeply corrupt man. He’s been convicted multiple times of corruption offenses and was legally barred from running for president in 2014, although nobody cared, and was then retroactively cleared when he won. On a personal level, he and his wife were convicted of fraud for forging papers to acquire their sixth personal home. And nobody’s ever bothered to explain how a school teacher and a politician making 1000 euros a month managed to buy the other five houses. 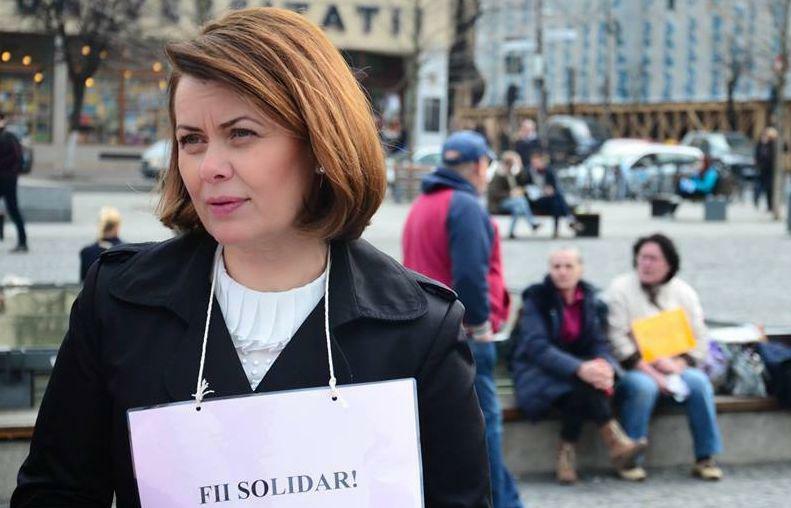 I am, however, very happy to report that Aurelia Cristea, a long-time PSD member from Cluj-Napoca, has now resigned from the party in protest of the January 31, 2017, midnight legal skulduggery. I first met her in 2012 at my book signing, and I had a truly unique and soul-stirring conversation with her. She truly was one of the few honest politicians in Romania, and I’m glad she’s finally quit her association with the thugs running the country. I don’t know what lies ahead, but my Instagram feed is showing me that the protestors aren’t going away. Like the mangy dogs that they are, the PSD-led government will probably continue to hide behind locked gates and phalanxes of police officers, but now that the mask is finally off, I have renewed hope that the people of Romania might, at long last, reclaim the democracy that they lost in a hail of gunfire during that fateful week in June 1990. Nationwide attendance estimates for the protests last night range from 200,000 on the very low end to 350,000+ on the high end. Some 150,000 were in Bucharest’s Piața Victoriei, in front of the Government building, with over 30,000 in Cluj and Timișoara, 20,000 in Iași and Sibiu and over 10,000 in Brașov. Attendances in the thousands were reported in about two dozen or so other towns and cities. All in all, the Romanian Gendarmerie confirms that protests were held in 70 cities and towns from almost every county. Protests of this scale are unprecedented in the history of Romania. She is educated, good looking, but she joined the Social Democrat party. That is not a good indication. Now she has left the Social Democrat party. That seems to be a good move but let’s watch to see where she goes next. Great article, enjoyed it.